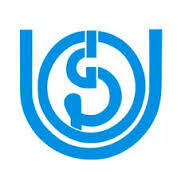 IGNOU OPENMAT 2017 Syllabus: The Indira Gandhi National Open University [IGNOU] was planned to conduct the OPEN Management Admission Test for people who are all applied for management courses in IGNOU. If you applied, then be prepare for the exam. So we advised you to understand clearly about the IGNOU OPENMAT Examination Pattern 2017 from any recognized site like our examlevel.com. After know the IGNOU OPENMAT Exam Pattern 2017, note the topics and prepare well based on the syllabus. Sometimes in OPEN Management Admission Test, the questions are repeatedly asked. So the candidates are advised to go through the whole topics thoroughly. To know more detailed information about the IGNOU OPENMAT 2017 by follow us on our social media like Facebook, Twitter, Google+, LinkedIn. The OPENMAT 2017 Exam was conducted by Indira Gandhi National Open University. This tests was organized to check the overall management aptitude of the candidate. If you prepared well enough, then you will be qualified in the OPENMAT Exam 2017. Before going to appear in the exam, you must know the OPENMAT Syllabus 2017. Here, we discus the individual topics & section briefly. With help of IGNOU OPENMAT Syllabus 2017, you can easily understand the examination pattern, time limit, mark scheme and other instruction related to the exam. Current Affairs of India: Government, Laws, Constitution, Famous People, Organisations, History, Achievements, Geography, Economy, States, Politics. World: Organisations, Countries, Leaders, Summits, Science, World Economy, Industry, Trade etc. Reading and Comprehension: You will be asked to read the given passages and answer the multiple choice questions based on that passage. Grammar: These section would test your ability in English grammar. It contains questions like fill in the blanks, Sentence Correction, Vocabulary, Antonyms, Synonyms and etc. Ratios and Proportions, Algebra, LCM, HCF, Statistics, Mean, Mode, Median, Combinations, Progressions, Permutations, Arithmetic Progression, Geometry, Number Systems, Geometric Progression, Trigonometry and etc. Assumption-Premise-Conclusion, Assertion and reasons, Cause and Effect, Critical reasoning, Coding and decoding, Family tree, Statements and conclusions, Statements and assumptions, Symbol Based problems, Visual reasoning and etc. Every year, the OPENMAT exams usually have the same pattern. There will be a total of 200 Multiple Choice Questions (MCQ). You have to complete it within 3 hours time. The questions are divided into 4 sections. If you facing any trouble while downloading the IGNOU OPENMAT Exam Syllabus 2017, then contact our admin or leave a comment below.